Here is another merienda suggestion – Vigan Empanada. 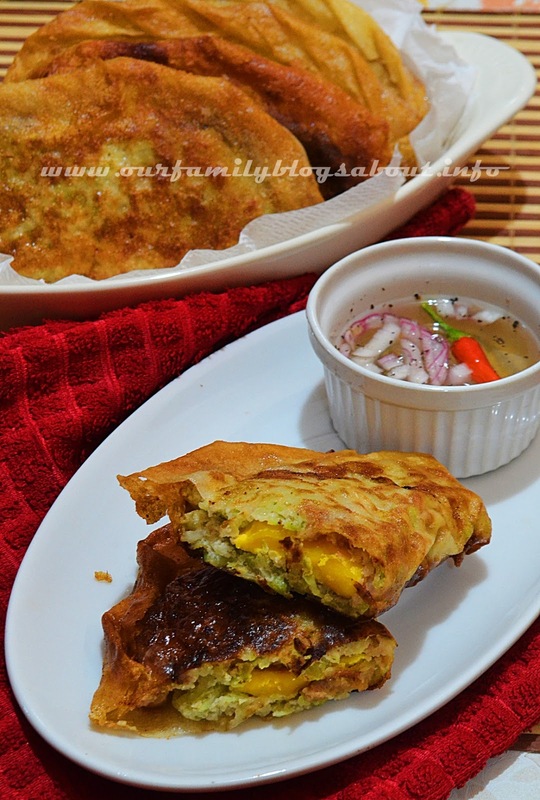 Unlike the usual empanada, Vigan Empanada is best paired with spiced vinegar. 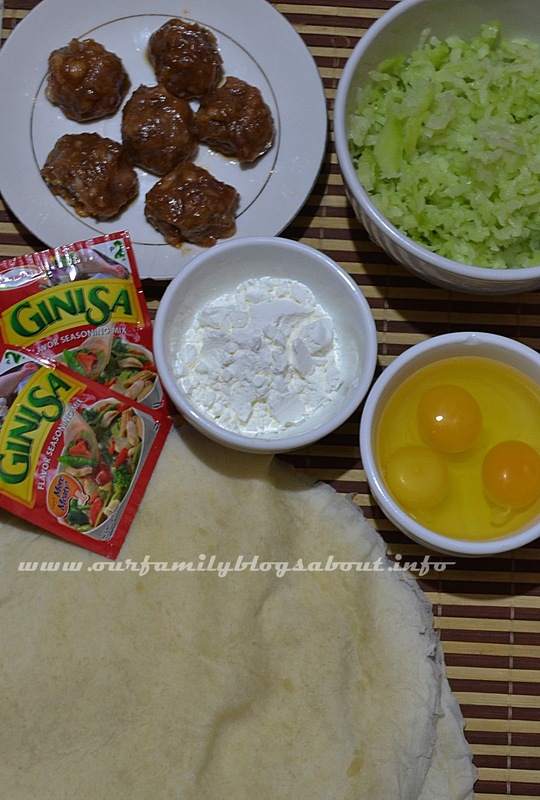 Few weeks ago I made my own version of Vigan Empanada. Instead of papaya and Vigan longganisa, I used sayote and home made skinless longganisa. I already tried making this one using a homemade dough for the wrapper but ended unscuccessful so I tried using the ready-made lumpia wrapper. I also used Ajinomoto Ginisa mix to enhance flavor. 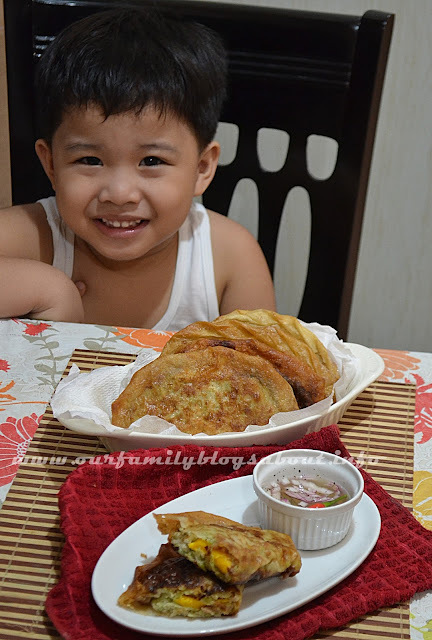 Look who's waiting to take a bite of Vigan Empanada ala Chemist Dad? Cooking oil for deep frying. Add grated sayote and Ajinomoto Ginisia Flavor mix. Continue cooking for about 2-3 minutes. Add egg white. Set aside. Saute skinless longganissa until color turns brown. In a plate, lay lumpia wrapper. Place sayote mixture and longganisa. Make a well and nest egg yolk in the middle. Carefully fold making half circle and seal the sides using cornstarch mixture. Drain excess oil in paper towel.